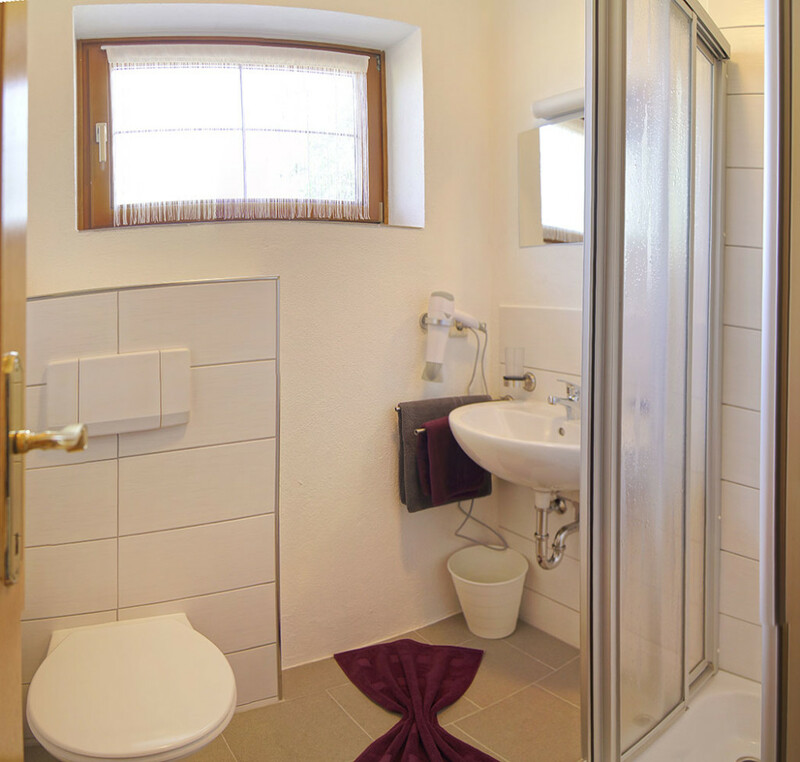 Our newly-renovated apartment in Flachau offers cosy accommodation for 2 – 4 persons. 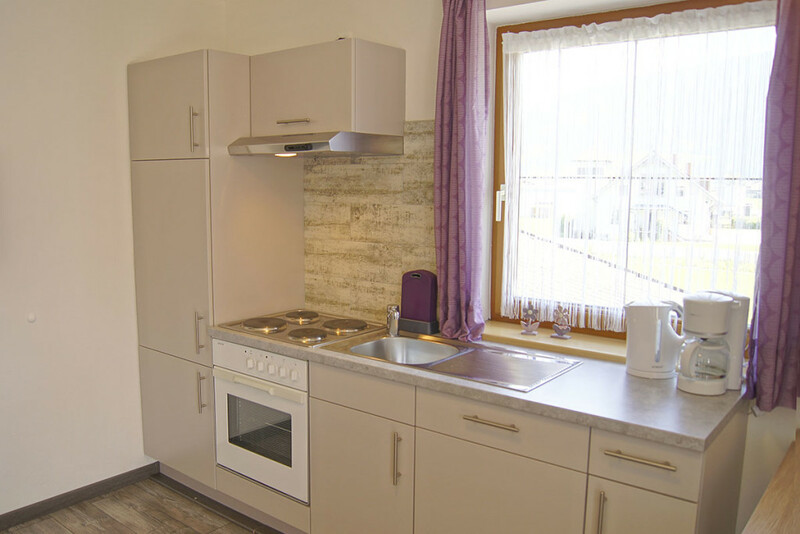 In the fully-equipped kitchen you can cook and eat together with your loved ones. 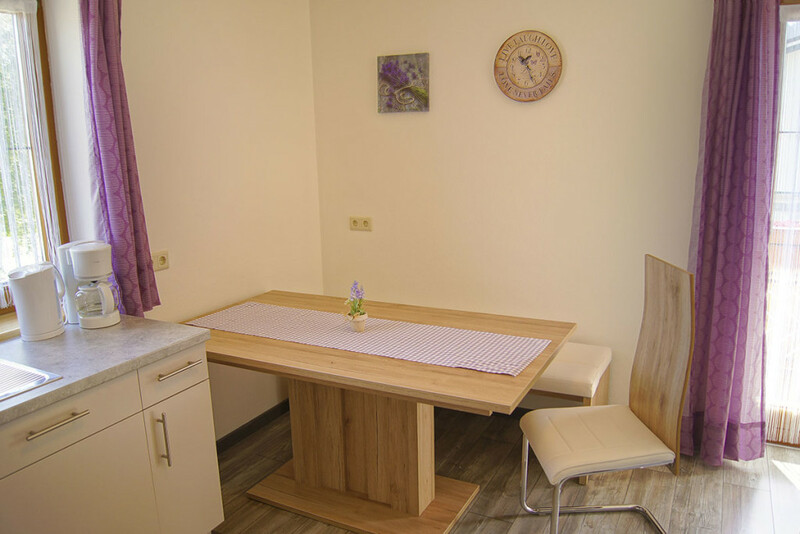 The kitchen / living room is also equipped with a sofa bed with a high-quality mattress for 2 persons. Get the day off to a good start with our fresh breakfast bread and roll delivery service. Relax and enjoy the sunshine on the balcony. 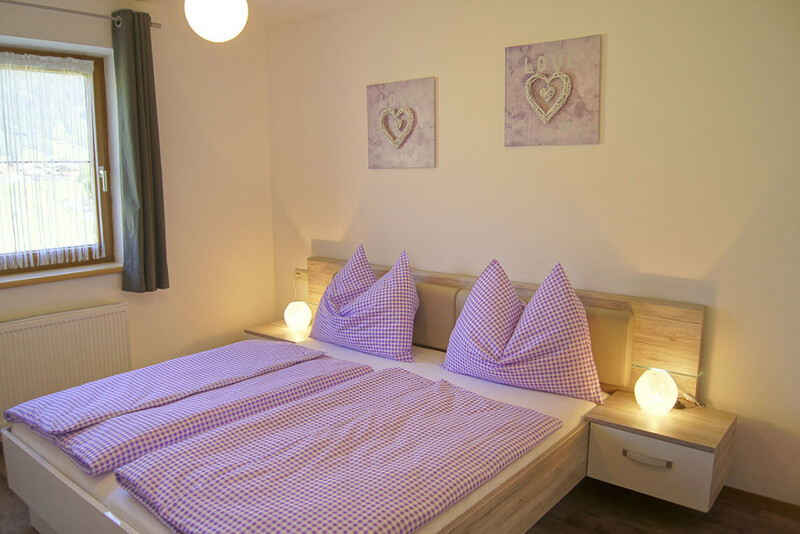 This apartment at our Ferienhaus Mitterer is ideal for couples or parents with children. Prices are in Euro per night for the number of persons stated, excl. resort tax. Resort tax: 1.12. 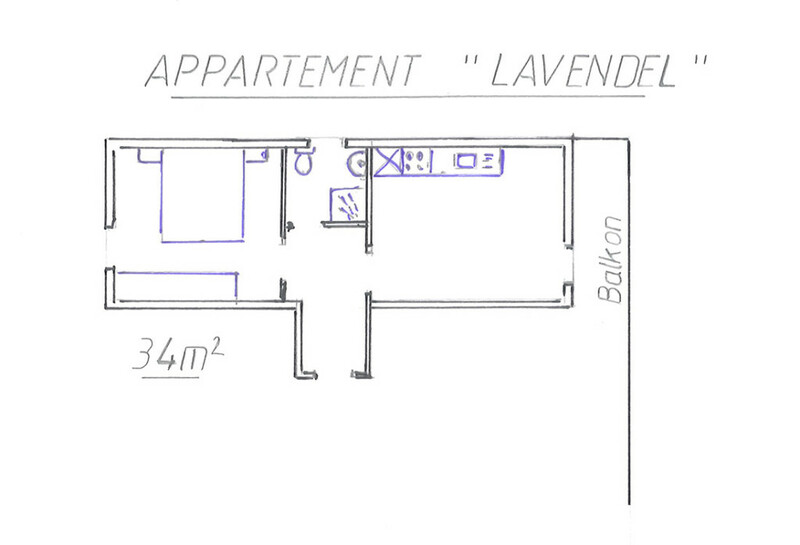 – 30.4. and 20.6. – 10.9. € 2,00 per person over 15 years per night · 1.5. 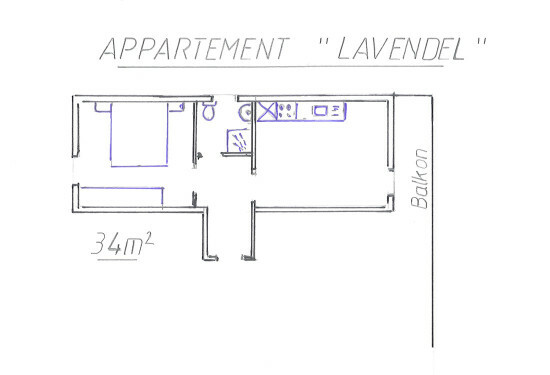 – 19.6. and 11.9. – 30.11. € 1,20 per person over 15 years per night. 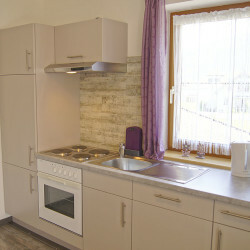 End of stay cleaning fee: € 35,00 · pets: € 5,00 per night. Subject to change.